Bruce Willis and Emma Heming have been married for 9 years since 21st Mar 2009. The marriage wasn’t done according to the legal procedure and was not legally accepted. So the couple again decides to perform their wedding and has it again in a civil ceremony in Beverly Hills, six days later. The couple has two daughters: Mabel Ray Willis born in 2012 and Evelyn Penn Willis born in 2014. At the premiere for the film Stakeout, Willis met actress Demi Moore. They married on November 21, 1987. They also had also three daughters: first named Rumer who was born on August 16, 1988. Likewise, they welcome their second daughter Scout on born July 20, 1991, and Tallulah on February 3, 1994. Willis and Moore announced their separation on June 24, 1998. They filed for divorce on October 18, 2000, and on that same day, the divorce was finalized. Then after Bruce Willis has been engaged to Brooke Burns in 2003. They were happily living but no sooner were separated in 2004. Bruce Willis has been in relationships with Karen McDougal in 2007, and in 2005 with Aida Yespica and Lindsay Lohan. Again it was that he was in relation with Kim Cattrall in 2003, Emily Sandberg in 2002, Nadia Bjorlin in 2002. Rachel Hunter was also in the relationship with Willis from 2001 to 2002, again with Alisha Klass in 2000 but broke up in 2001, Maria Bravo in 1999, moreover also with Janice Dickinson and Estella Warren. Bruce Willis is rumored to be dating Lisa Barbuscia. 1 Who is Bruce Willis? Bruce Willis real name is Walter Bruce Willis. He is a talented television and movie actor famous for playing different roles. He is famous as an American actor, producer, and singer. He has appeared in different hits films that have grossed in excess of $2.5 billion US. And he is the actor that has been placed at the top ten stars. Willis was born on March 19, 1955, Idar-Oberstein, Rhineland-Palatinate, West Germany. He is now 63 old years. His ethnicity is Mixed(English, Dutch, French, Welsh, Irish, and German) and nationality is American. Willis’s father’s name is David Willis who was an American soldier. And his mother’s name is Marlene who was from German. He had two brothers: David Willis and Robert Willis. He has a sister, Florence Willis. His family moved to the U.S. after he was born. He was raised in Penns Grove, New Jersey. There his mother worked at a bank and his father worked in the factory after being discharged from the army in 1957. He went to Penns Grove High School. Being a popular student, he was elected the student council president. He also went at Montclair State University to study drama. However, he left during his junior year to pursue his acting career in New York City. After completing his high school he took up menial jobs being a security guard at the Salem Nuclear Power Plant and as a private investigator. He was seeking for the job and finally, he got a chance to perform in the off-Broadway production ‘Heaven and Earth’ in 1977. After that, he started to perform stage appearances and has played the lead role in ‘Bullpen’. So he became to perform various other stage performance and was seen playing the role of David Addison in the television series ‘Moonlighting’. He was able to perform in this drama beating 3000 other contenders. The series ran from 1985 to 1989 and it was the main reason that made Willis a star. After that, He started to come out debuting in the various movie. In 1987 he was seen in the romantic comedy film named ‘Blind Date’ and has started his acting career. In the movie ‘Die Hard’ in 1988, he played the police officer John McClane and was able to make his career so strong as his role of action hero was loved by all. He played the role of John McClane in the 1990 movie ‘Die Hard 2’. The film was so hit and had received great success. But there is not always successful in every star’s life and so with Willis. 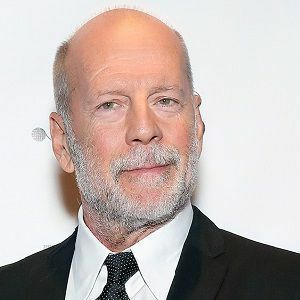 His few of the movies go out in flops in the early 1990s including ‘The Bonfire of the Vanities’ (1990), ‘Hudson Hawk’ (1991), and ‘Color of Night’ (1994). But was again in rising form with the comeback of black comedy and crime film ‘Pulp Fiction’ in 1994. He was also seen playing in ‘Armageddon’ which was released in 1998. The film was so hit and became the highest-grossing film of the year. In 2000, he also started his career in television. He appeared as Paul Stevens in three episodes of the ‘Friends’. His work and role were so much appreciated there and he also received an Emmy Award. After that he got the different project and has acted in different films of which the major ones were ‘Unbreakable’ (2000), ‘Hostage’ (2005), ‘Live Free or Die Hard’ (2007), and ‘Surrogates’ (2009). Likewise, his movie also includes ‘The Moonrise Kingdom’ (2012), ‘A Good Day to Die Hard’ (2013) and ‘RED 2’ (2013). Then he also started to host different shows and hosted Saturday Night Live with Katy Perry as a musical guest on October 12, 2013. Willis will star in the movie adaptation of the video game Kane & Lynch: Dead Men, named Kane & Lynch. Films in which Willis has featured has always able to grossed between US$2.64 billion and $3.05 billion at the North American box offices. It had made him stand as an eighth highest-grossing actor in a leading role and 12th-highest including supporting roles. Willis’s work is appreciated by all and he is one of the greatest actors. He has won a variety of awards up to now. Likewise, he has received various honors throughout his career in television and film. Bruce has done a lot of movies, shows and has succeeded with great success. His net worth is $180 million. Bruce doesn’t have many infamous rumors. But he has been involved in different controversies after having his film flopped continuously and when he was replaced in his career by others. But again he gains his success when his other film hit the success. Willis is physically fit and tall with the height of 6 feet. He weighs 83 kg (183 pounds). His chest size is 44inches and waist is 34inches likewise biceps is 14 inches. His shoe size is 10 US. He has grey hair and green colored eyes. Bruce is active on Instagram and has got more than 76 K followers on his Instagram account. Likely he is also active on Facebook and Twitter. He has got more than 50K followers on Twitter and followers on Facebook. Has Rumer Willis conquered her alcohol habit?-her important milestone on the road to recovery and her stress fractures post ‘Dancing with the stars’ show! Quick facts! Five famous female celebrities who married males much younger to them!